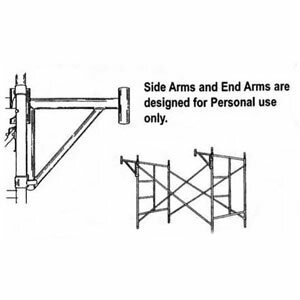 End Arms are used to extend work area outward. 21 1/2" End Arm Brackets to extend work area outward up to 21 1/2". 30" End Arm Brackets to extend work area outward up to 30". Wt. 12 lbs.